One of my favorite spots in this city is the My Dog Joe cafe in Westdale. I love the atmosphere, the barristas and the decor, but more than anything, I LOVE their savory muffins. The cheddar broccoli almost kills me every time I partake in its splendor (...death by happiness). I think I will make some savory muffins, and I think I've found the perfect recipes. 1. 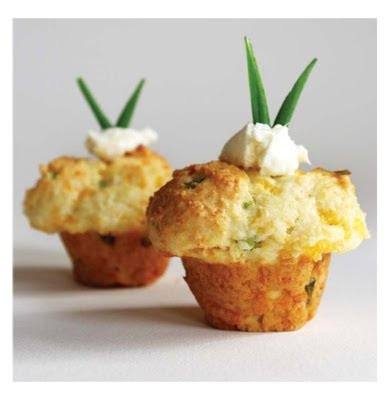 Cheddar Scallion Cupcakes With Whipped Cream Cheese. 2. 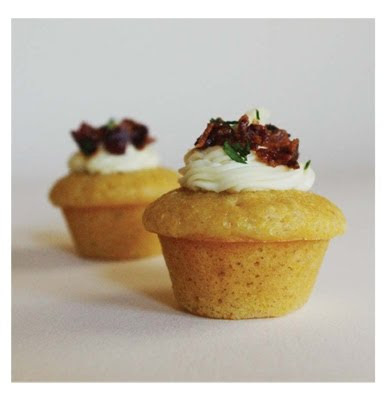 Cornbread Cupcakes with Goat Cheese Frosting and Bacon. Thank you, Ming Makes Cupcakes!